Agape Learning & Optometry Center: Dog TV!!! Only in America! TV is going to the dogs! As a developmental optometrist I am often concerned about the television habits of my younger patients. Too much can be big trouble. I came across this article from California Veteerinarian magazine (Sept 2012) that I found very funny and thought you would enjoy it. We receive this magazine because my wife was a practicing vet for 7 years. Do your clients worry about whether their dog is bored when they’re away from home? Do they say their dog suffers from separation anxiety? Then DOGTV may be for them! Yes, dogs now have their own television channel – DOGTV, created especially for canines. The cable channel features three- to six-minute segments designed to stimulate, relax, and entertain a dog while the owner is away. It’s available in San Diego, can be accessed online, and will go national soon. 1. 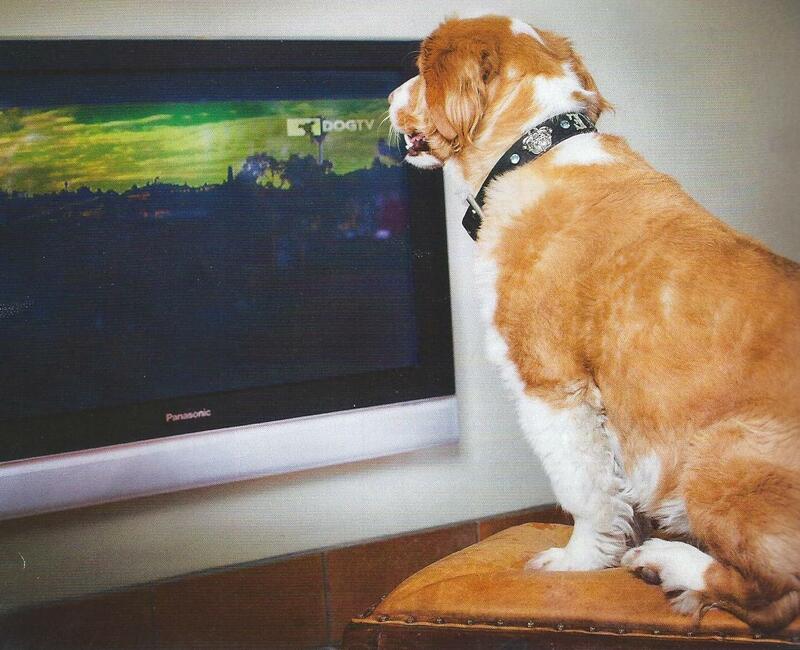 Will dog obesity rise from all that TV-watching? 2. Should we worry about too much violence on DOGTV? 3. Might too much TV watching ruin a dog’s eyes? 4. How will we keep our dogs from fighting over the remote? 5. Won’t all this TV watching cut into their Internet time? 6. Can DOGTV add a smell-o-vision feature with selected food odors? 8. What if you offer your dog a trip to the park and discover he’d rather be a couch potato and watch TV? 9. What if your dog doesn’t care less what’s on television? 10. Will your cat start whining for a CatTV channel?